We all know that it is better to have a nice, high, credit score than to have a low one. Believe it or not, there are some things you can do that will help improve your credit score. None of them are going to be the "quick fix" that you are probably hoping for. They will take time, and effort. You can improve your credit score without paying for the assistance of a credit repair company. One excellent way to improve your credit score is to get a copy of your credit report. You are entitled to get a free credit report every twelve months from each of the "Big Three" credit reporting agencies: Experian, Equifax, and TransUnion. 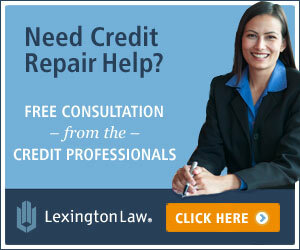 You can also obtain a free credit report from AnnualCreditReport.com. Getting your free credit report is just the beginning! You also need to take the time to carefully check it over. Look for errors. Are there late payments that are incorrectly listed? Is the amount owed for each of your accounts correct? Is there something on your credit report that actually belongs to someone else who has a similar name as you do? Report those errors to your credit reporting agency and ask them to remove the errors. Late payments can lower your credit score. The obvious way to prevent that from happening is to keep paying your bills on time. Set up a reminder for yourself in a way that will work for you. For example, you might want to put a reminder on your calendar or use an app that has a reminder function. What if you have already gotten behind in payments? Make every effort to get that payment caught up. Once you do, make every effort to ensure that you don't fall behind again. Over time, this will improve your credit score. This tip will also take time and effort. What you are aiming for is a credit report that shows a nice, long, history of making responsible and timely payments on your debt. One way to do this is to use one credit card to make small payments. Pay off the entire amount when the bill arrives. This is a good way to avoid having to pay the interest rate that would be applied to outstanding debt. Do you have a lot of credit card debt? Pick one to focus on, and make an effort to pay down that debt. This means you will need to send more than the minimum payment to your credit card company when the bill is due. When you get that debt paid off, start focusing on another card that you have accrued debt on. Keep working on it, and over time, your credit rating will improve. It can be tempting to open a new credit card, with a zero percent temporary rate, and shift the high interest debt from another card onto it. This, all by itself, isn't necessarily a bad idea � if you work at paying off the debt after it has been moved to the new card. Pay off that debt before that lovely temporary rate ends. This is a good way to avoid having an interest payment added to your existing debt. In the meantime, you need to use your old credit card responsibly. Don't immediately rack up another big debt, or you will face the same problems. Part of what is considered in your credit score is the amount of debt you owe versus the amount of available balance you have. Lower the amount you owe, and your credit rating can improve.